On To A Winner / Category Archive for"Horse Racing Syndicate Blog"
Saturday saw the start of the new flat season at Doncaster. 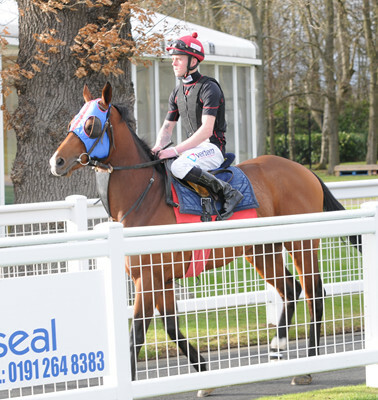 We had 2 entries on the day, one in the Lincoln Handicap and one in the Brocklesby. First up was Raydiance who ran in the Lincoln, we were delighted with the run as he ideally needs softer ground, so he ran a very creditable race and travelled supremely well until 2 furlongs out where race fitness and the ground just found him out. Clifford Lee who rode him let him come home in his own time and was happy with the horse on the day. 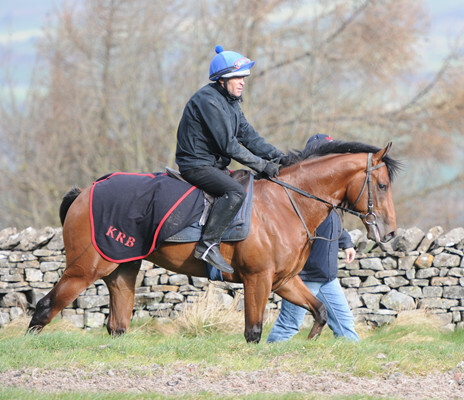 His owners were delighted with his efforts and we are confident there is a big win this year for him. Next up we had Show Me Show Me running in the Brocklesby which is the first 2-year-old race of 2019. Show Me Show Me looked superb in the preliminary’s and behaved impeccably considering this was his first time in front of a large crowd. He travelled to the start well. Once the stalls opened, he broke fantastically well Paul Hanagan (jockey) had him in great position travelling supremely well throughout the race. Paul took up the running at the furlong pole and went a couple of lengths clear. In the last 100 yards he was joined by the second favourite Strong Power. Show Me Show Me showed a tremendous attitude and battled all the way to line winning by a cosy ¾ length. Paul Hanagan was very happy with the horse’s performance and thinks we have a lovey horse for the future. 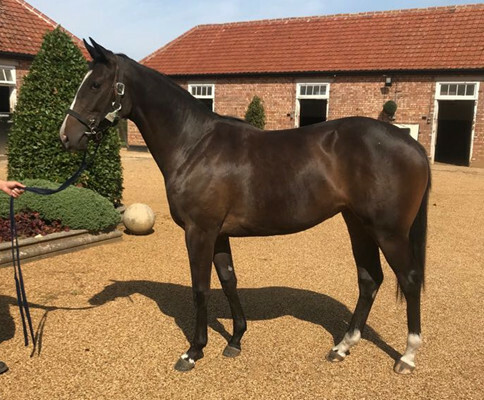 We are absolutely delighted for his owners and with this effort as this is the first time, we have had a Brocklesby runner and our first 2-year-old runner of 2019 which bodes well. Check out this video from Chris Allen, one of Show Me Show Me’s owners. Fantastic! 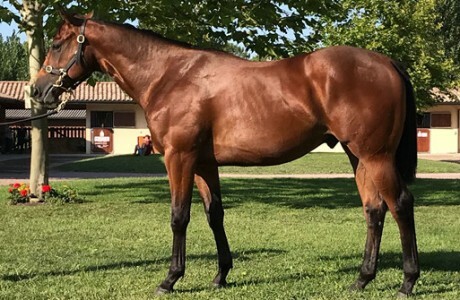 “The Ivawood is very forward as we thought he was so we have cracked on with him, he will be one of my first 2-year-old runners of the season. 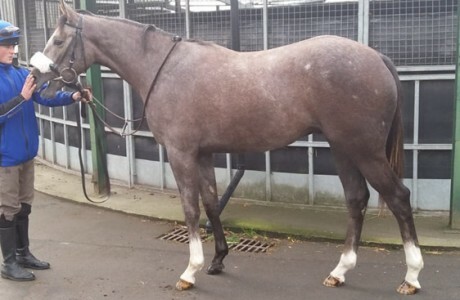 This colt has a race pencilled in for Musselburgh in early April and he is being readied for that. 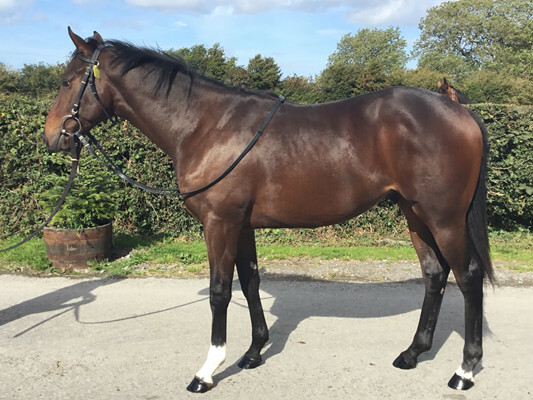 He works well at home with some class, he is showing plenty and should be winning races for the next few seasons as he is not just a 2-year-old. I couldn’t be happier with him and I think he is another cracking addition to the successful string we have had over the years and am very much looking forward to seeing him hit the track”. 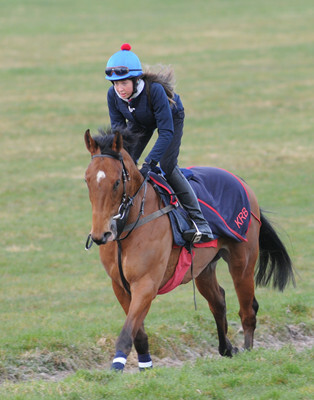 “She has done incredibly well in the last month and has gone from being a filly who didn’t show us too much on the gallops to one that has been scorching them. 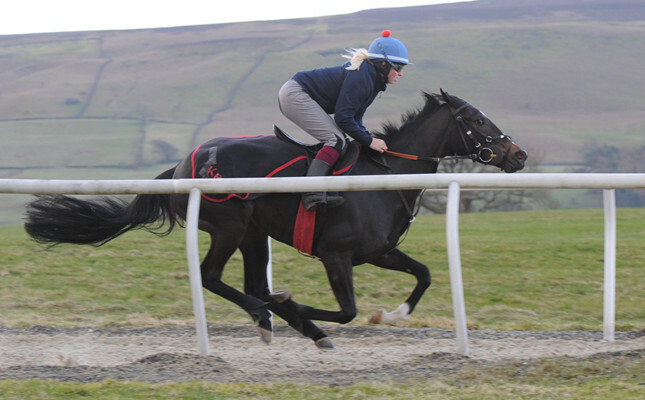 She’s done some very nice gallops and has moved up to the top of the pecking order based on her recent work. I’m sure we will see some more improvement and I think she is very capable of winning races at 2. She is a typical Showcasing and just gets on with the job and wants to please”. 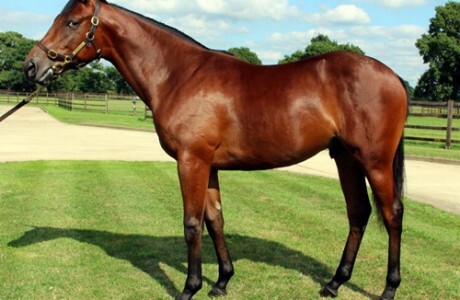 “I am absolutely delighted with this colt, he really wants to impress and does impress in his work. 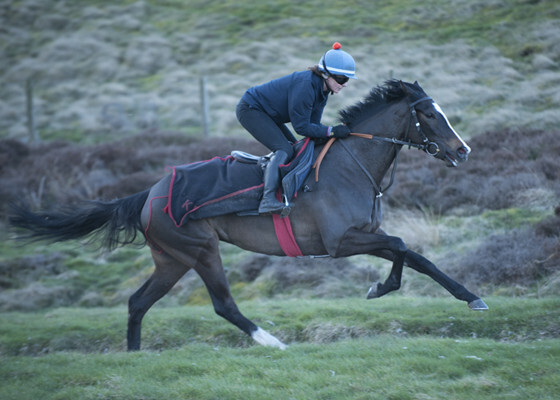 He has been working with older horses and has stayed with them and is very tough, he shows that will to win you need even at home on the gallops. 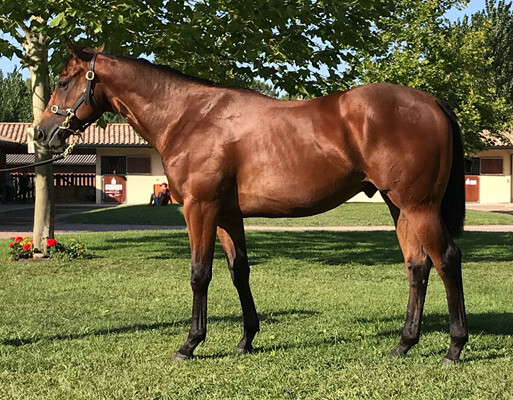 Don’t hesitate to ask Ontowinner to visit our yard to see him work yourself and I am sure you would be as impressed as I am with him. 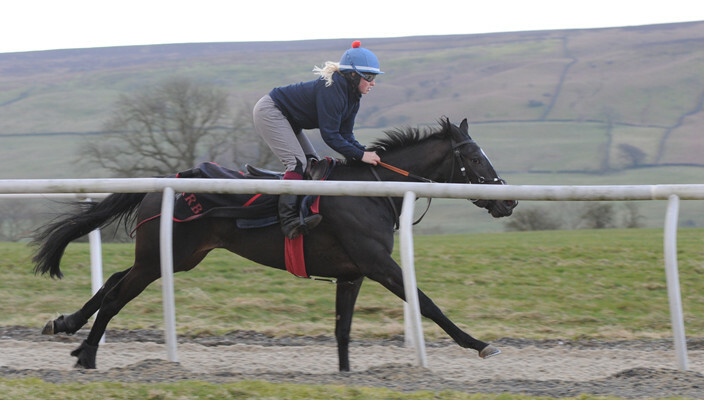 I see him as a late April runner at this stage, but he is scopey and should grow into a lovely 3-year-old too. 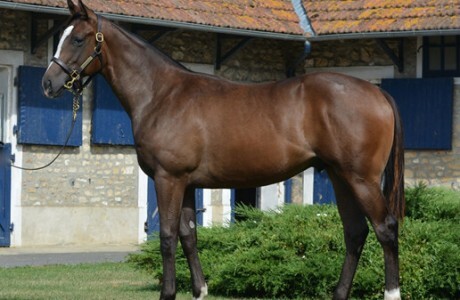 I am very happy with this colt, he has a great mind and shows plenty to show he is good enough already to win a maiden. Please don’t hesitate to ask to come and see him, he looks a picture”. 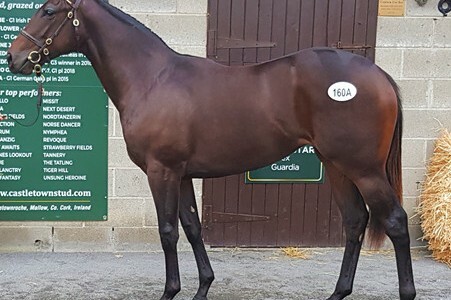 “The Kodiac colt has continued to impress me, he works well and is very forward. 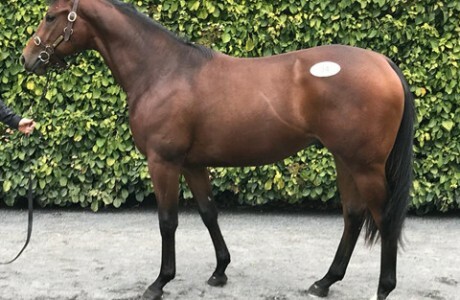 He is being readied to start in April as soon as the maidens start to flow in the season and from what I have already seen, he should be up to at least winning a maiden. 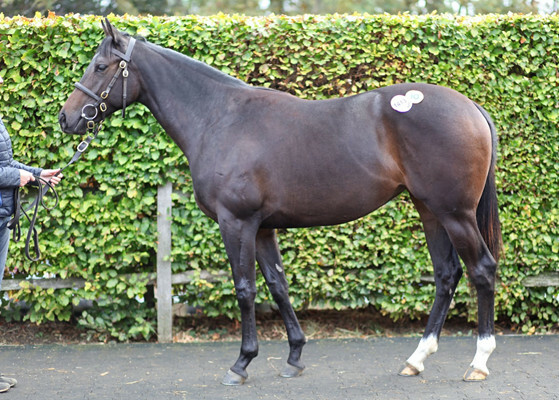 He takes after the sire well, he is what you would expect a typical Kodiac to be like which is a huge positive. 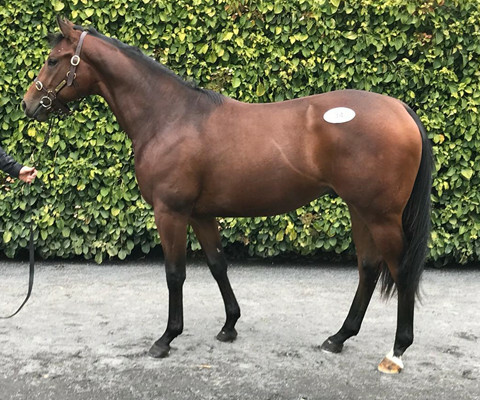 He looks the part around the yard and works well, he would improve any string and as I mentioned before I feel lucky we managed to get him at Goffs as I thought he would go for much more than what we paid; having had him with me for 6 months I still feel we have stolen him for the money. Anyone wanting to see him is most welcome at the yard, I’m sure you would be impressed with him”. “He has really started to come to hand and he’s really pleasing me. He was a little bit behind in his coat and he just had a small set back which held us up a bit. He’s done some nice bits of work in the last fortnight and he looks to have a big engine. I’d like to think he will win races as he does everything very easily and for a big horse is very forward going. 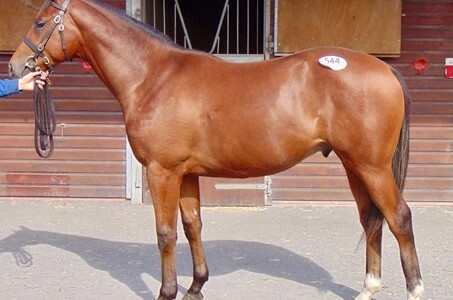 I’d expect he will be a 5 or 6-furlong horse as he is very speedily bred horse”. 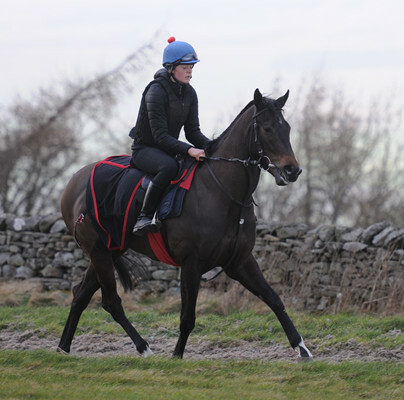 “He is a lovely big horse who has done well since he came into the yard. He does everything very easily and just wants to please. He has a lovely big long stride on him, and he eats up the ground. I’ve been very impressed with his attitude and with the ease of how he does his work. 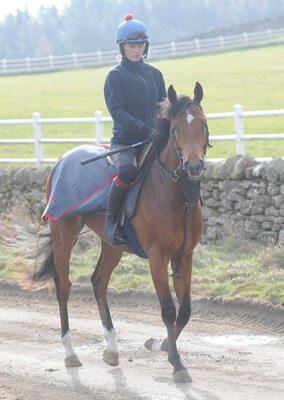 He’s likely to need at least 6 furlongs so I wouldn’t expect we will see him on the racecourse until May time. I’d be very surprised if this lad wasn’t winning races this year at a good level”. 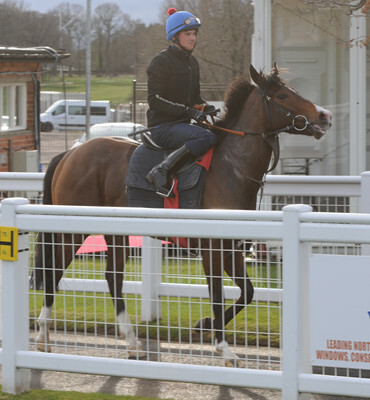 “He looks to be very forward and has done plenty of work to suggest he will be running early in the flat season. 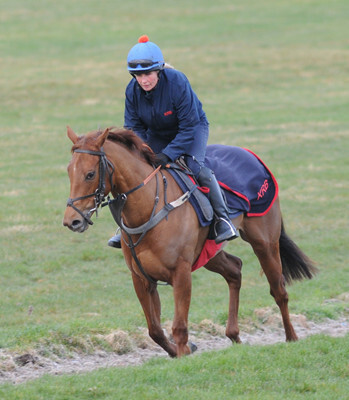 He’s worked in good groups of horses and certainly held his own in the gallops. He does everything very easily and just loves to get on with his work. He’s from a very quick family. He’s another horse in my string who I’d be expecting to be winning this year as a 2-year-old. He looks a nice prospect”. 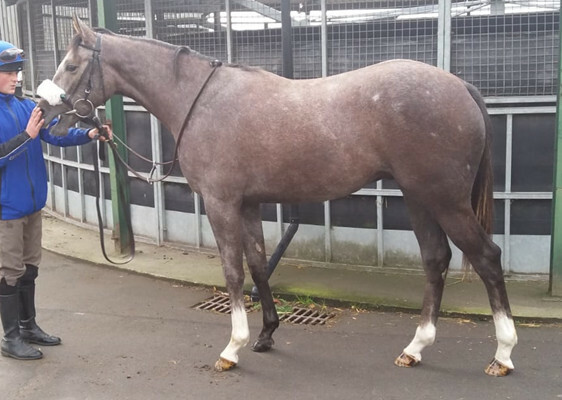 We have some limited shares available in some of our older Horses in Training and these high-class 2-year olds. 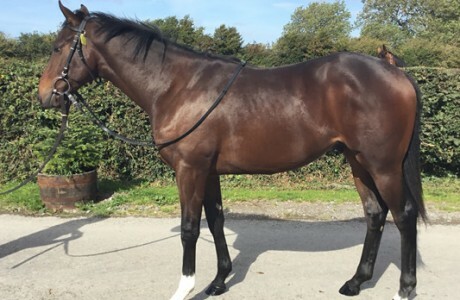 Check out our available shares page and feel free to contact one of the Ontoawinner team for any queries. Our trainers and syndicate managers have been in discussions about which of the Ontoawinner string are showing enough on the gallops to warrant entries in the early closing 2-year-old sales races. It looks like our owners are in for a very good summer with no less than 15 individual 2-year-olds receiving an entry. 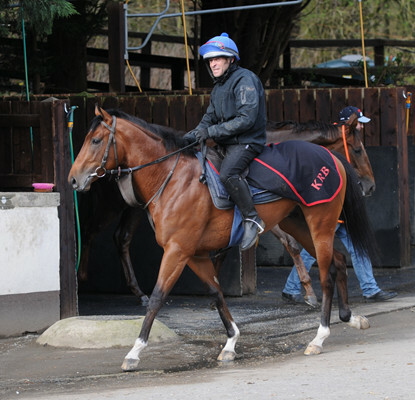 Our trainers are delighted with the horses and the feedback is very positive so we are delighted to support them. 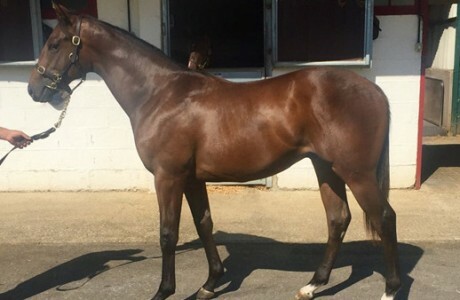 We do have some limited shares remaining in one or two so check out our available shares page and who knows you could be involved in one of the big days out. Please click on the link below to view all of our current entries. Suitcase N Taxi was a fairly cheap purchase for Ontoawinner and has been a gift that has kept on giving. 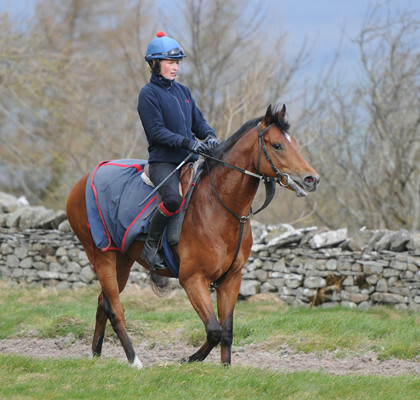 He is a horse who has won over £25,000 in prize money and has given his owners a great day out on multiple occasions. He is trained by Tim Easterby who is based in Malton and is renowned for keeping horses winning and most importantly wanting to win. 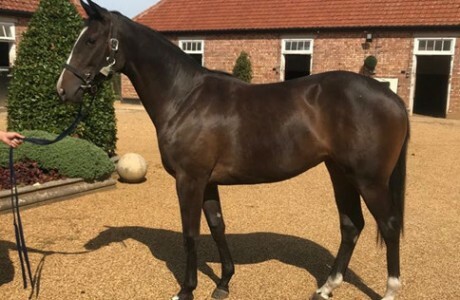 Suitcase N Taxi is a horse with great character and personality and is perfect for anyone who has a hobby of horse racing and you can fall in love with him at ease. He is certain to win races every year and give his owners a great day he won twice last year both days winning well. He won the Thursby handicap at Carlisle beating Only Spoofing who has recently been rated in the high 70’s/low 80’s, he won by 1 and a half lengths that day. He then ran at York finishing 6th and beating home some nice horses that day, York is a track at the highest level and it’s always a pleasure to run there. After York he won the John Hopkinson memorial race at Thirsk, a track that isn’t ran to suit him but he was game and he beat home Canford Bay who has won since and beat a very smart Royal Brave who has since gone on to beat our high class sprinter Staxton who is currently rated in the 101 with a highest rating 103. Suitcase N Taxi has beaten one of Ontoawinners ex horses – Castle Hill Cassie who won the flying fillies stakes listed race at Pontefract. He also beat top sprinter – Intense Romance who has won dual listed races since Suitcase N Taxi and the filly clashed. After Thirsk suitcase n taxi had an issue with the stalls which is out of character for him and shocked everyone involved. Tim has experimented with things at home and he is once again showing great attitude and is leading the two year olds at home and is a perfect role model. With the issue seemingly over, he has a good chance of leaving his owners with a hand rubbing season, packed with amazing experiences. It’s the time of year when the excitement starts to build towards the 2019 flat season. 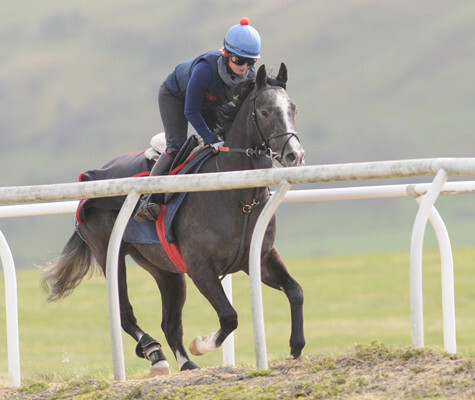 The 2-year olds that celebrated their birthday at the turn of the year start to build up their work and do more each week on the gallops. 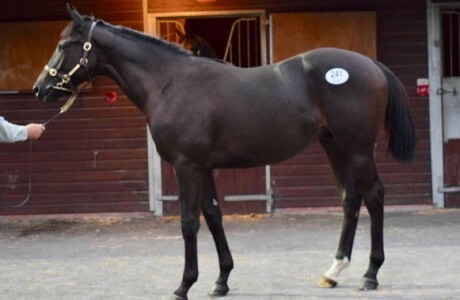 We have our strongest team of 2-year olds heading into the new season by some of the world’s best stallions like Fastnet Rock, Showcasing and Kodiac and up and coming stallions like Slade Power, Ivawood and Capella Sanservera. We do have some limited shares available and we don’t expect them to last long. 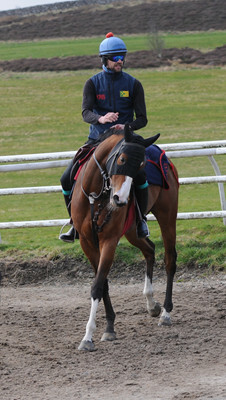 We have 2-year olds with some of the finest UK trainers who are confident we have lots of future winners In our string. Who knows there could easily be another Quiet Reflection amongst them? You can click on the links below to see full profiles. Get in touch with any queries that you may have. After a record breaking season in 2018 with 46 winners it didn’t take us long to get onto the scoreboard for 2019. The year is only just over two weeks old but our horses have started the season in good form with two winners, one second and a third placed runner already. Made Of Honour is a filly with lots of ability and she showed great guts and determination to win at Newcastle on the 6th when under a power packed ride from Clifford Lee she got up in the shadows of the post to win by a short head. 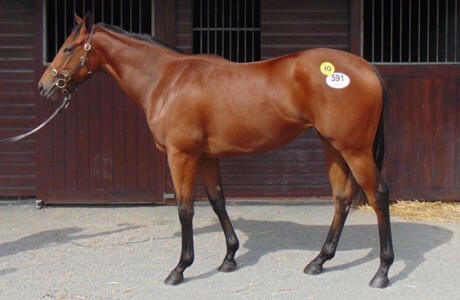 Trained by Karl Burke this filly came second to Group 1 winner Benbatl on her debut. Pearl Acclaim had a very frightening episode in the stalls at Nottingham in October and it has taken a few runs to get his confidence back. Stepping up to six furlongs nine year old Pearl Acclaim showed a willing attitude under the guidance of up and coming jockey Phil Dennis to win by half a length. Pearl Acclaim has now won five times in the Ontoawinner colours since he was purchased and David Griffiths has done magnificent job with him. 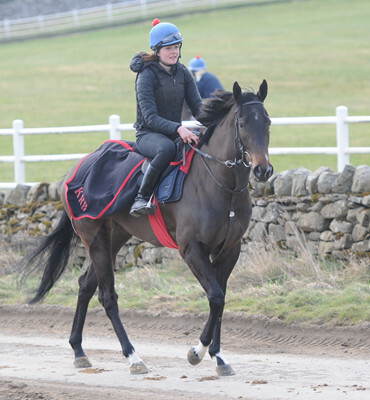 Other runners already placed this year have been Mardle who came second in a competitive and valuable handicap at Newcastle, Mardle had previous won over course and distance, he gave it a good go but just found one to good on the day. He looks a nice prospect for the season ahead. 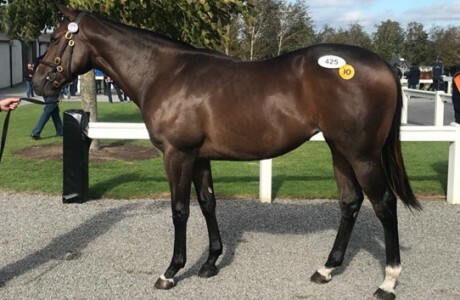 Comptons Finale came over from the Adrian Keatley stables in Ireland, he gave it a good go running well finishing third to two nice horses in the six furlong novice race, he might come back over to the UK later in the month. This time of year is such an exciting time with the new two year olds that we purchased last year already now broken in and already completing their first steps in their education. 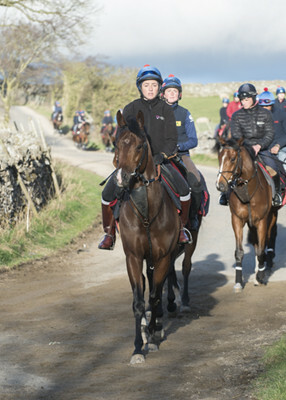 There has been lots of positive comments regarding our horses wellbeing and progression from our trainers up and down the country and we look to have the strongest team we have ever had ready to go to the races with in 2019. 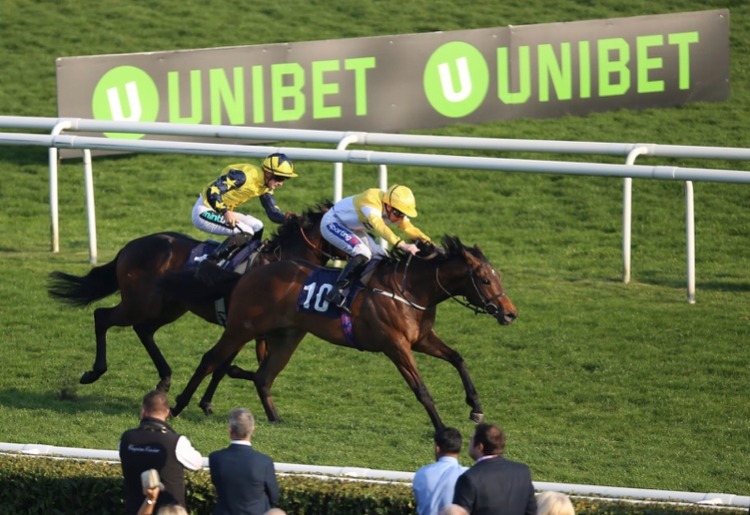 February is a busy period with plenty of stable visits, these days are a great day to see all our horses, their home environment, meeting other owners and having a drink and some food with the Ontoawinner Team and discussing the season ahead. If you would like to attend one of these stable visits please get in touch with one of the Ontoawinner Management Team. 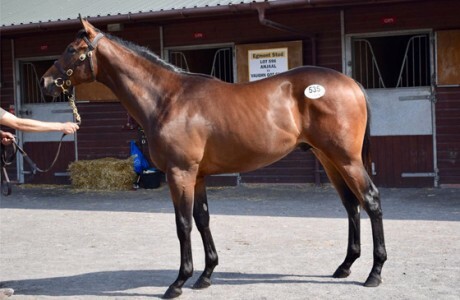 Shares are selling out fast with lots of the new two tear olds sold out already, however there are limited shares left in a few horses and anyone interested in race horse ownership should view our available shares section. Pearl Acclaim, our grand 9-year-old gelding returned to Southwell today to take his chance in the 6 Furlong Sprint Handicap. Trained by the inform David Griffiths, he was ridden by Phil Dennis who claims 3lb. Pearl broke superbly well from his wide draw (stall 10) and was soon on the heels of the front running Jazz Legend and Alligator. Phil had Pearl travelling well until the 2-furlong pole, he kicked Pearl in the belly and Pearl responded well, taking up the running and leading all the way to the line to win by ½ length. 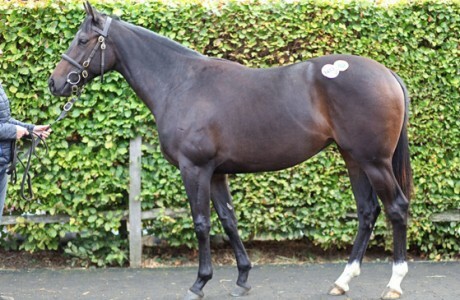 The Ontoawinner bloodstock team have been busy at all the major yearling sales. 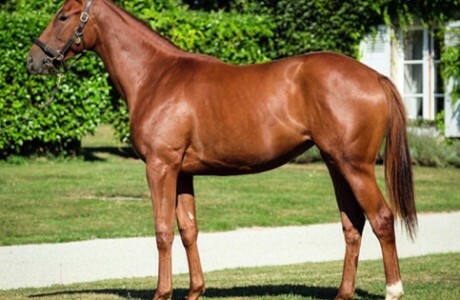 We have been backed by some of the biggest bloodstock agents. trainers and consigners in the world selecting what we believe the best group of yearlings we have purchased from the top established stallions like Equiano, Showcasing, Kodiac, Fastnet Rock, Requinto, Zebedee, and Dandy Man and Young and first season stallions like No Nay Never, Ivawood, Due Diligence and Capella Sansavero. Our team viewed 1000’s of yearling rigorously reviewing pedigrees and the horses. We have only purchased horses that fit our stringent selection process and we are confident there are lots of future winners amongst them. 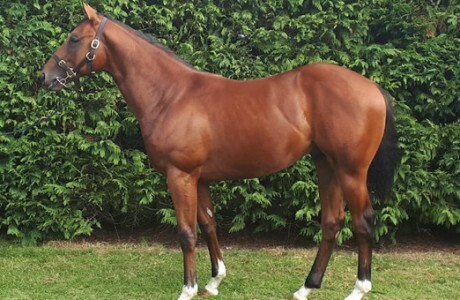 We have sent our yearlings to who we consider among the best in the business in the UK. Richard Fahey, Archie Watson, Karl Burke, Tim Easterby, Michael Bell, Bryan Smart and Keith Dalgleish. They are responsible for training over 567 winners in 2018 which is a superb effort and vindicates our decision to build partnerships with them. 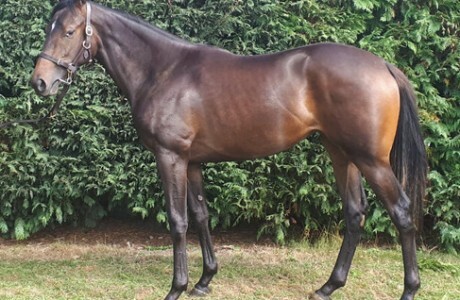 Ontoawinner have also had a superb year matching our previous best season for winners with 42 during 2018 so far and we grow from strength to strength with a stronger team of horses, owners and trainers who are backed by some superb staff. The yellow and white silks can be seen winning at all the top racetracks. It’s been an amazing journey so far so why not take a look and join us on the next chapter. YOU WON’T BE SORRY. Dates: Archie Watson Saturday 27th October 10.15am. Tim Easterby Saturday 3rd November 10 am. Richard Fahey Sunday 4th November 10 am. Ben Haslam Saturday 17th November 9 am. Karl Burke Saturday 17th November 10:30 am. 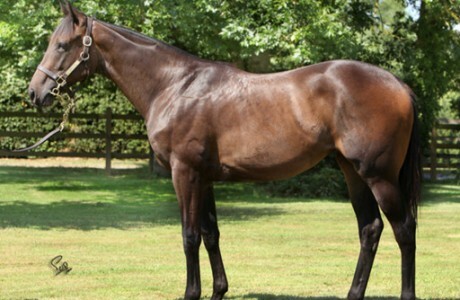 Check out out full listing of yearlings below, click on each horse for their full profile.